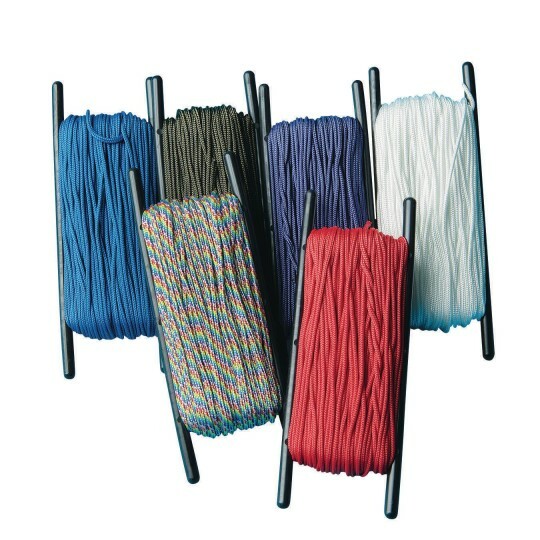 Parachute cord has became the crafter's cord of choice. Parachute cord has been a survival "must have" for generations of soldiers and hikers, but when it hit the craft scene it quickly became the crafter's cord of choice. Make extra durable bracelets, necklaces, belts, key chains, leashes … any braiding project you can think of. Melt or glue the ends to prevent fraying. 100' hanks. Approx. 8' is needed per bracelet. Make snap-tight jewelry by using buckles, sold separately (JE196 and JE197). Please specify color when ordering.